Each of our slab benches is individually made entirely from English oak from the Wyre Forest. 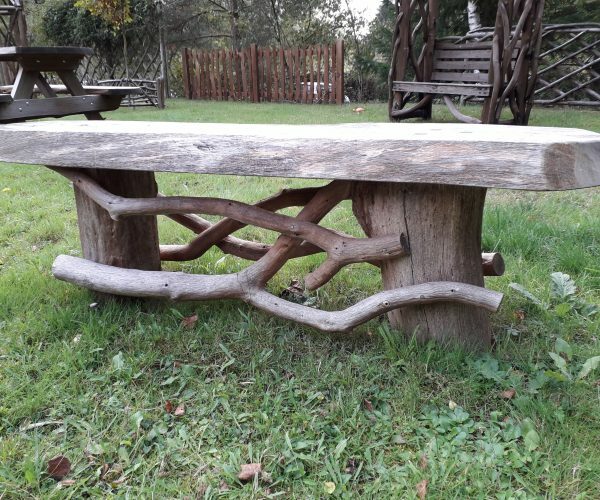 No two benches will look exactly alike due to the variation in shape of the rustic sticks and stumps. They can either be peeled or also available with bark left on.